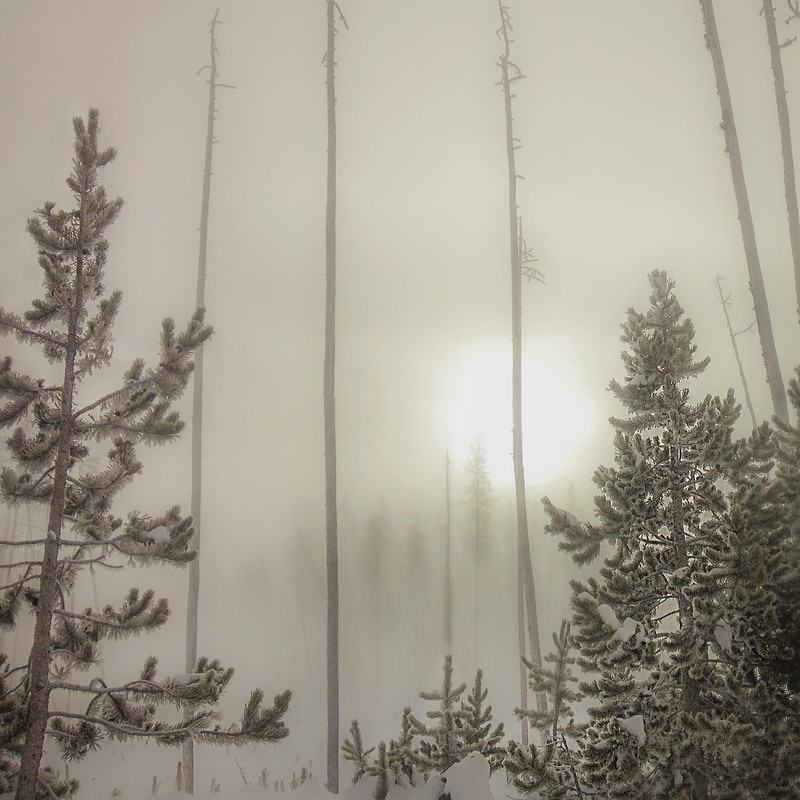 The morning sun rising above the steam, fog and lodgepole pines on a very cold morning in Yellowstone National Park. Photographed on the fly while heading towards the Grand Canyon of the Yellowstone using my phone. How accessible is the park in winter? Wow. On the fly with a phone? This is fabulous. Love the atmosphere in this shot. Freezing fog isn’t something we see much of here. You must’ve felt like you were in an enchanted land. Super other worldly photo. Love it. On the fly? Wow! Love the feel of it.